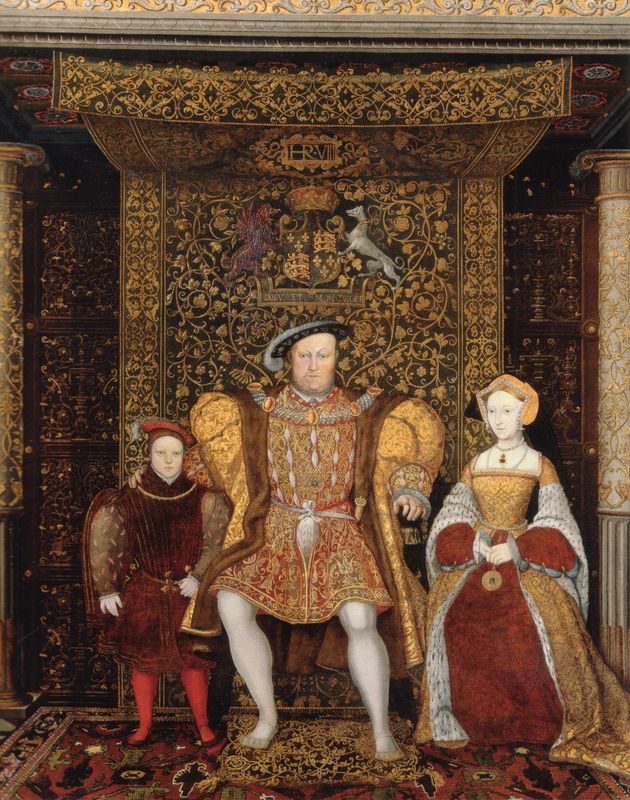 On October 12, 1537, King Henry VIII’s beloved wife Jane Seymour finally gave birth at Hampton Court Palace to his only surviving legitimate son, the future King Edward VI. Henry was ecstatic. The labor had been long and hard but Jane seemed to slowly recover and even wrote a letter to Thomas Cromwell announcing the birth. But after a few days, Jane was obviously sick. There are several theories on the exact cause of her death but it was clearly complications from childbirth. She succumbed on October 24. Henry was devastated by her death and withdrew to Windsor. By November 1, Henry decided Jane would be buried in St. George’s Chapel at Windsor and Monday November 12 was to be the date of the burial. The court was ordered to wear mourning and clothes were issued to the household from the Great Wardrobe. The King would have worn purple or white mourning with everyone else wearing black. Other than choosing the date and place of the burial, Henry left all the details to others. The plans for the funeral were delegated to the Duke of Norfolk and Sir William Paulet. As directors, their assignment was to gather a suitable cortege to take the body from Hampton Court to Windsor. This is probably an indication of Henry’s grief over Jane’s death as he usually took great interest in ceremonials of this kind. Custom indicated the king would not attend the funeral himself. Jane was the first Queen of England to die “in good estate” since King Henry’s mother Elizabeth of York in 1503. Norfolk and Paulet researched the protocol followed in Elizabeth’s funeral and wrote a letter to Thomas Cromwell outlining what they had found. Elizabeth’s funeral had included seven marquises and earls, sixteen barons and sixty knights along with numerous members of the king’s household. Norfolk and Paulet believed they could improve on this. Norfolk summoned the Duke of Suffolk, the marquises of Dorset and Exeter and the earls of Surrey, Oxford, Rutland, Wiltshire, Sussex, Hertford and Southampton. Also to be included were the Lord Privy Seal, Thomas Cromwell himself along with the Lord Chamberlain and many other barons and knights. These noblemen were considered of sufficient importance to honor the deceased. Norfolk himself ordered twelve hundred masses be sung for the repose of the Queen’s soul. He also requested Cromwell to ask the king if he felt a dirge at St. Paul’s Cathedral was appropriate. On October 25, the queen’s corpse was partially eviscerated and her entrails were buried in the Chapel Royal at Hampton Court. The body was embalmed and dressed in a robe of gold tissue and some of her jewels were added and a crown put on her head. She lay in state in the presence chamber surrounded by tapers for several days starting on October 26. There was an altar close by where masses were sung all day and all night for Jane’s soul. The first ceremony of the obsequies was the translation of the body to the Chapel Royal. The funeral began with the pronouncement of the Lancaster Herald to those gathered to pray for the Queen’s soul. The body was moved to a catafalque in the Chapel where it lay in state for another week, watched over in vigil by the queen’s ladies and other household servants along with the chief mourner, the King’s eldest daughter, the Lady Mary. Mary paid for masses to be sung for Jane and took over running the Queen’s household until it was disbanded. On November 8, the cortege left Hampton Court to move in easy stages to Windsor. The body was placed on a horse-drawn hearse and followed by two hundred poor men who were wearing the badge of the Queen and carrying lit torches. Chief Mourner Lady Mary rode a horse draped in black velvet followed by twenty-nine mourners, presumably one for each year of the Queen’s life. The women were escorted by the noblemen, including Jane’s brother the Earl of Hertford and other officers of arms. A lifelike wax or wooden effigy was carried in the procession. Along the way, the poor men went ahead to line the streets as the crowds stood behind them silently watching as the hearse passed. At each point along the journey the procession was welcomed by clergy and civil leaders. 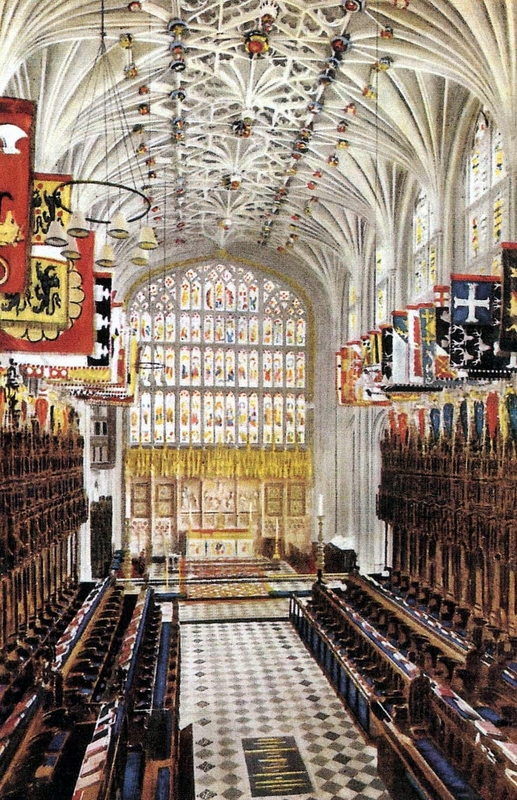 On November 10, the procession arrived at Windsor at eleven o’clock in the morning and were met at the entrance of St. George’s Chapel by the Dean and College. Six pallbearers carried the body inside. They were met at the High Altar by Archbishop Cranmer. There were prayers and the body lay in state through the night as Lady Mary kept vigil beside it. The following day, mass and dirges were sung. The Queen’s ladies draped velvet palls on the coffin and the effigy was laid upon the palls. On Monday November 12, a great ceremony was staged to lay the Queen to rest with full honors in a vault beneath the Garter Chapel before a crowd that included her brothers Edward and Thomas. After the coffin was lowered into the vault, the Queen’s officers broke their staves of office over the grave as a symbol of the termination of their service to her. During this ceremony, the bells of London tolled for six hours. The entire burial process took about an hour. All the mourners retired to Windsor Castle to take refreshment. On November 14, a requiem mass was heard at St. Paul’s Cathedral in the presence of the Lord Mayor of London and alms were distributed to the poor in the Queen’s name. This service signaled the end of the obsequies for Queen Jane. The period of mourning at court extended over the Christmas holidays and it wasn’t until February 3, 1538 that Henry called for an end to the mourning. Thereafter, the King and all others appeared in normal clothing. Nine years later, Henry chose to be buried next to Jane at Windsor rather than with his parents in Westminster Abbey. This is surely a sign of his high esteem for Queen Jane.